What is “Normal” When it Comes to Picky Eating? If you read the post here on How to Handle a Picky Eater, you hopefully felt empowered to take action in a variety of ways with your picky eater. With advice on where to start when you already feel stuck, this article outlined four main areas parents can begin to work through to better approach picky eating in their home. For some parents, however, traditional advice on how to handle picky eaters may feel a bit defeating. It isn’t because such strategies don’t work for a majority of kids, but rather because the degree of some children’s picky eating extends beyond typical “how to’s” can effectively handle. This post will help parents to decipher age-appropriate, “average” picky eating from more extreme forms of picky eating by sharing some generalizations of what each is and typically looks like. This post will also outline the expected impact on children with either form of picky eating (physically, emotionally, and socially), so that families who find themselves with either an “average” or “extreme” picky eater at home know best how to help their child. As infants turn to toddlers, there is a natural transition that occurs where more independence and autonomy is sought after in many areas of life – including eating. 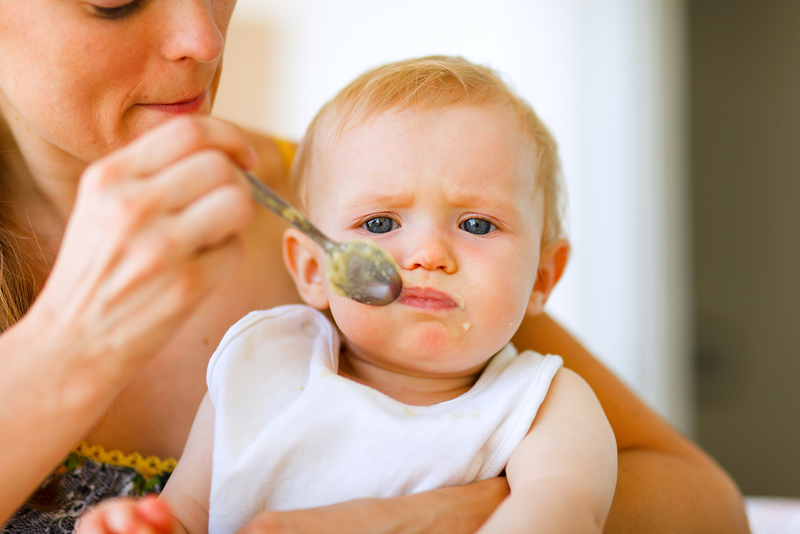 A toddler’s newfound use of the word “no” and desire to exercise control within the eating environment can at times create a challenging feeding dynamic between parent and child. Often times, such average picky eating can create a challenge of the wills over if/what is eaten at a given meal and create tension over the food being offered. Children who have average picky eating will usually outgrow it with little to no long-term impact on their nutritional, social, or emotional health. Children who are average picky eaters, when raised to listen to their intrinsic cues for hunger and fullness, can usually self-regulate their appetite and food intake in a way that sustains normal growth patterns for their age and body type. 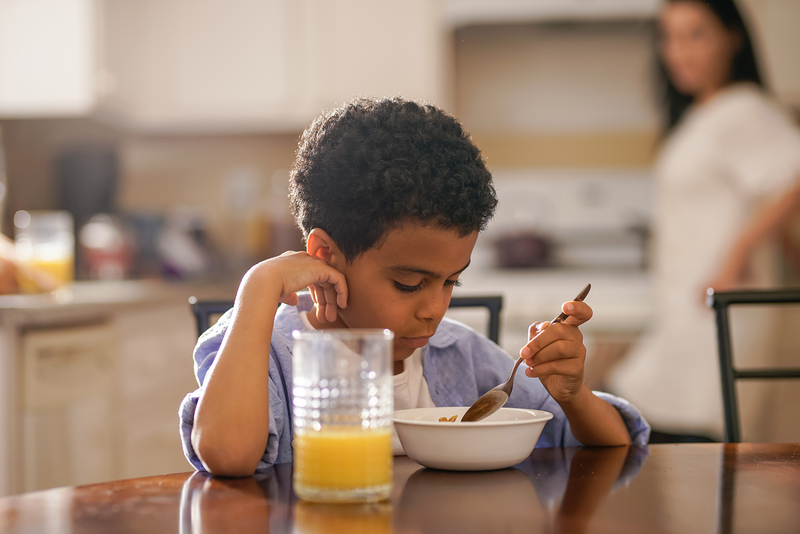 Although children come in all shapes and sizes, average picky eating should not cause any dramatic, long term changes in a child’s growth or development. For most average picky eaters, temperaments should be age-appropriate and generally positive towards food and the eating environment. Parents should not expect to see their children highly offended or upset in response to both preferred and non-preferred foods being offered, but rather adaptive to the options offered with a more adventurous appetite developing over time. While there may be short-term stress and frustration felt within families during such seasons of picky eating, particularly for parents, it is typical for average picky eaters to eat less in unfamiliar social situations. Children with average picky eating may limit their choices to prefered foods in a variety of social settings, which may require parents to plan accordingly so that an average picky eater has enough options to eat when at daycare, school, and in other settings outside the home. In general though, average picky eaters should be able to welcome a variety of social situations as they grow older without food being a major obstacle to their overall participation (i.e. in class events, friend’s parties, sleepovers, travel, etc.). Even “average” picky eating can be extremely trying on parents, making patience, persistence, and a healthy perspective important coping strategies to average picky eating. Parents can’t expect children to go from apprehensive (also known as “neophobic” or having a fear of new foods) to adventurous eaters overnight, but it is wise to foster feeding foundations within any family that help average picky eaters to gradually expand their list of preferred foods over time. Parents of “average” picky eaters have a dramatic impact on the overall course and outcome of their child’s picky eating, as average picky eating can at times escalate to more extreme forms in feeding environments where parents do not use productive approaches to introducing variety (such as those outlined here). 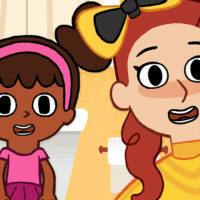 Picky eating falls on a wide spectrum of what is mild and barely modifies a child and family’s life to that which is more extreme and dramatically impacts the nutritional, emotional, and social tones set in a family around food. There are a number of ways to refer to these more extreme ends of the spectrum, including terms such as “extreme picky eating” (as discussed here) and “problem feeders” (as discussed here). Additionally, diagnostic terms such as Avoidant/Restrictive Food Intake Disorder (better known as ARFID) may be used with children who have such extreme forms of picky eating that they are unable to sustain their weight, meet their nutritional needs, or have age-appropriate psychosocial functioning (as discussed here). For the sake of this article, we will use the term “extreme” picky eating when comparing it to “average” picky eating. Parents may first notice a heightened concern with a child’s extreme picky eating due to changes with the child’s growth. 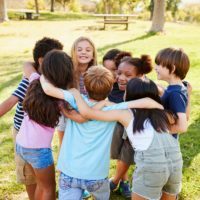 Although children come in all different shapes, sizes, and with appetites suited for their unique body types, children with extreme picky eating are often unable to sustain standard growth and may even be referred to as “Failure to Thrive” by their pediatrician. While there can be reasons for slowed growth in children outside of extreme picky eating alone, it is important parents speak with their child’s pediatrician and/or request a referral to a Registered Dietitian Nutritionist if there is concern over a child’s inability to eat enough food and variety to maintain appropriate growth and development. Children with extreme picky eating often have a much more emotional response when presented with non-preferred foods. 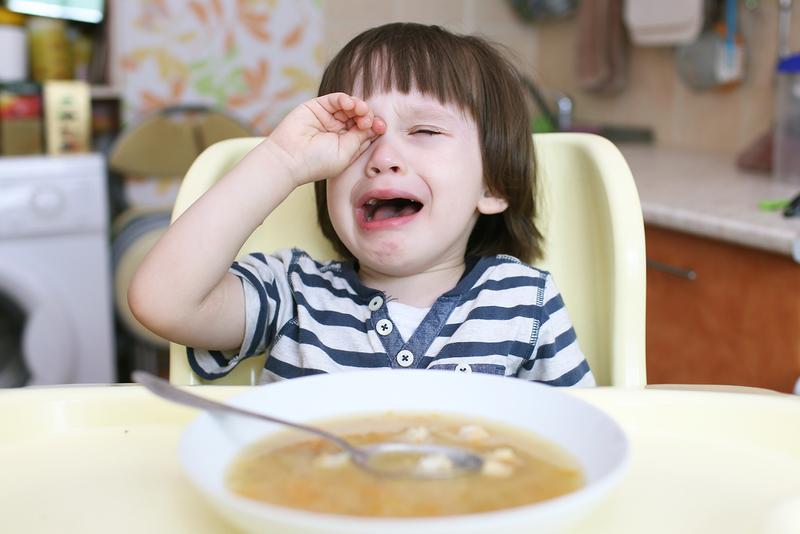 Many may cry, fall apart, or become visibly upset when such foods are offered, demonstrating a level of discomfort towards new foods that extends beyond the neophobia that often occurs with “average picky eating.” Such children may struggle with any sensory interaction of touching, smelling, or tasting them. Because children with extreme picky eating often have such a limited list of preferred foods, they may become more socially isolated with age. As young children, extreme picky eaters (or their parents, on the child’s behalf) may avoid certain social situations due to the strain of trying to feed the child outside of their usual, controlled feeding environment. If untreated, an extreme picky eater can become all the more limited in their social life due to food-related stress in social situations preventing them from participating. If a parent identifies red flags for extreme picky eating and suspects their child’s picky eating is interfering with the physical, emotional, or social health of the child and/or family, it is imperative that they inquire about additional assistance to address the possible underlying etiologies for such extreme picky eating. Waiting will rarely solve the issue of extreme picky eating (i.e. a child “‘growing out of it”) but rather may create more stress and negative impacts on the family and child. 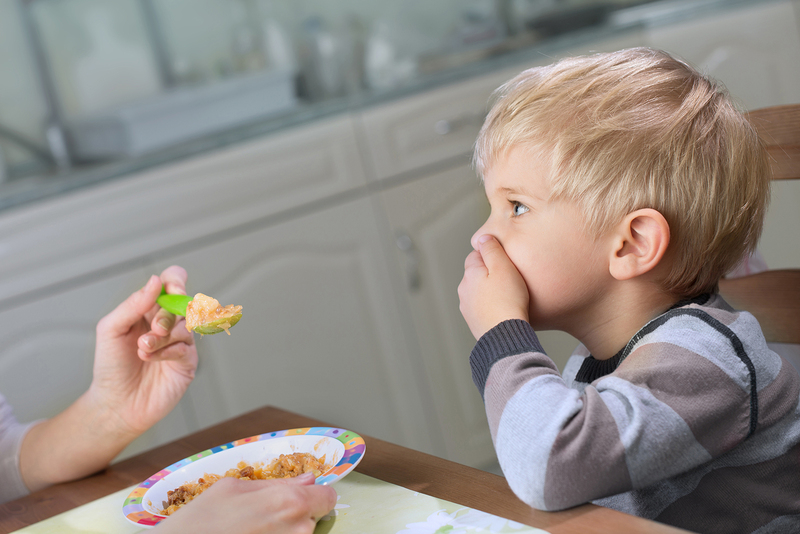 Ideally, if extreme picky eating is identified before age three, families can look into if their child qualifies for Early Intervention through state-funded programming. This is helpful not only because of the nature of such intervention taking place earlier on in a child’s life (versus taking years to address extreme picky eating), but also because it helps eliminate or lessen the cost of private feeding therapy. Families who are curious about or needing private feeding therapy should ask their pediatrician to recommend and/or refer their child for a feeding evaluation with a Speech Language Pathologist, Occupational Therapist, and/or Registered Dietitian trained in feeding therapy. If deemed necessary, families will benefit from working with a pediatric feeding therapy team that helps the child’s physical, emotional, and social needs to further develop. Your child’s picky eating is not your fault. No matter where your child falls on the spectrum of “average” to “extreme,” parents of picky eaters need to remember that they are not to blame for their child’s feeding issues. Feeding therapy programs are designed to support families with such struggles and to equip them with the tools necessary to aid in extreme picky eating using an empathetic and yet educated approach. Hopefully this article helps to empower any parent uncertain about if and how to handle their picky eater in what the best next step is for them and their families. Ashley Smith is a pediatric dietitian and mom to two apprehensive eaters (ages 4 and 2). Her mission is to bring other families less meal time stress and more feeding success. Ashley does this each week through sharing simple approaches to meal planning and effective strategies for raising healthy eaters. Follow her on Instagram @veggiesandvirtue or her blog, www.veggiesandvirtue.com.